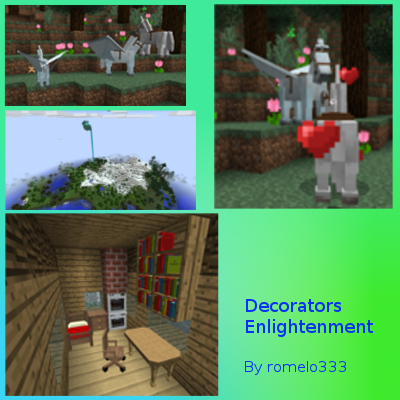 This is a casual modpack with lots of building blocks and tools like Decocraft, Chisel, Carpenter's Blocks, BiblioCraft, Not Enough Wands, ... A few tech mods are also included like EnderIO, Applied Energistics, Draconic Evolution, .... Also mods like Pam's Harvestcraft, Natura, Agricraft, Magical Crops, Botania, Forestry and so on. This modpack is really meant for people who like to be creative and easy survival. The modpack aims to create a relatively friendly environment with a nice landscape (ATG and ExtraBiomesXL) as well as many tameable mobs. Mods like Magical Crops make it easy to grow all your resources.